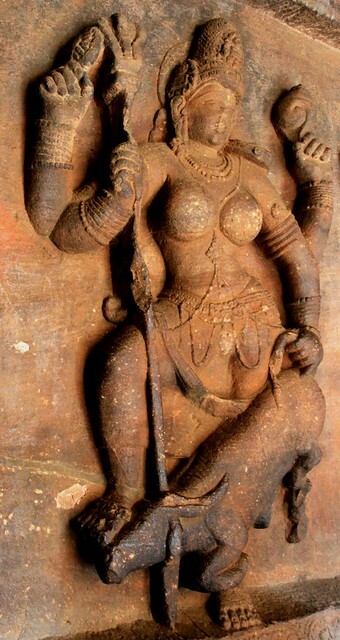 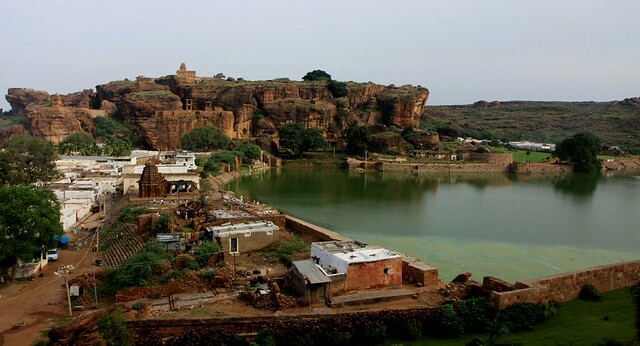 Badami was the capital of the Early Chalukyas, who ruled most of present day Karnataka from the 6th to the 8th Centuries AD. 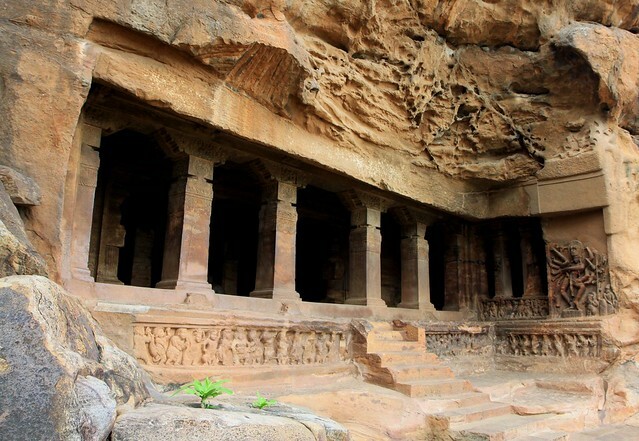 The town, previously known as Vatapi, is famous for its cave temples carved out of the sandstone hills around Agastya Tirtha Lake. 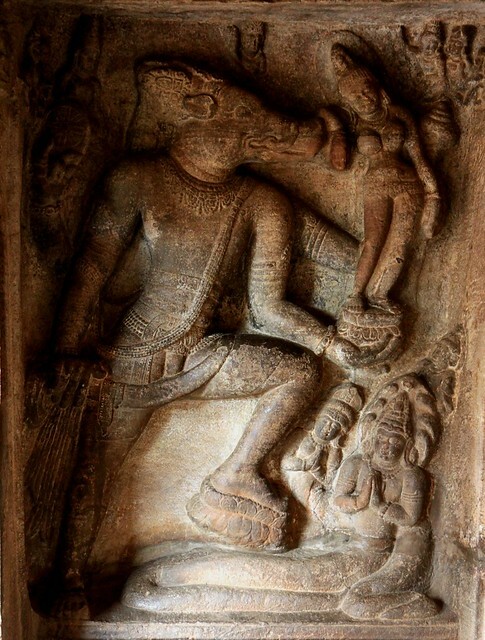 The town was named Vatapi based on the episode in Ramayana relating to Sage Agastya and the two demons Vatapi and Ilvala who used to kill people by tricking them. 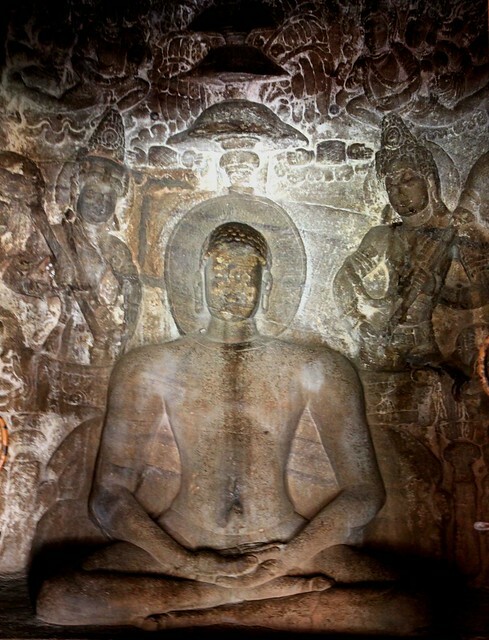 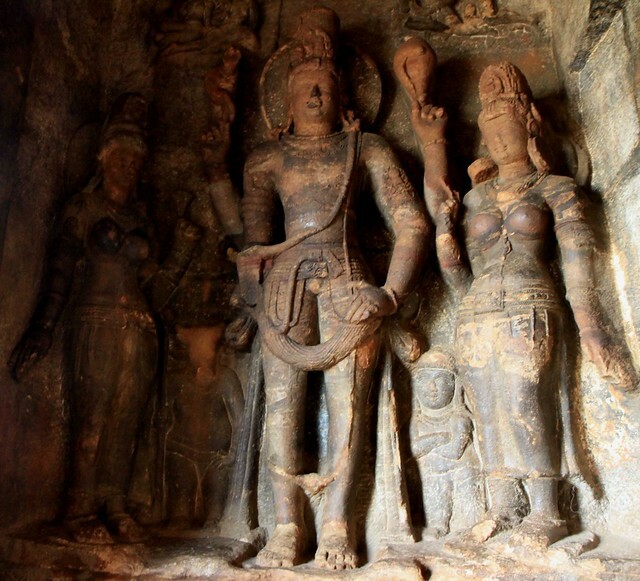 These caves, dating back to 600 and 700 AD, have been carved out of the sandstone hills next to Lake Agastya. 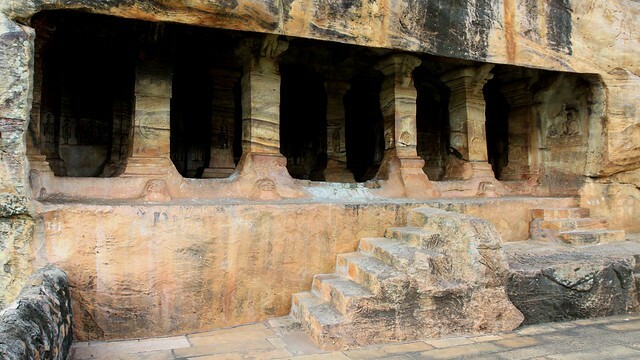 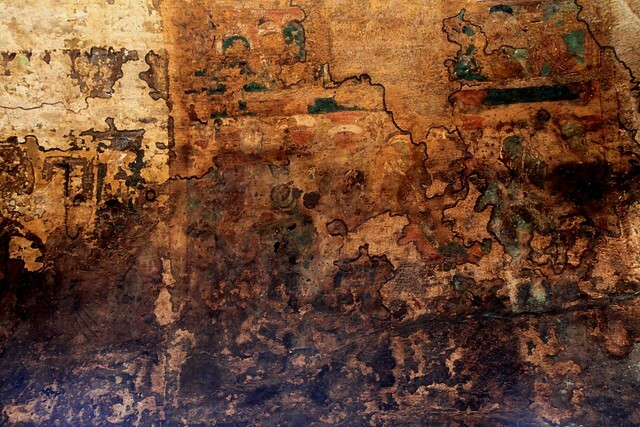 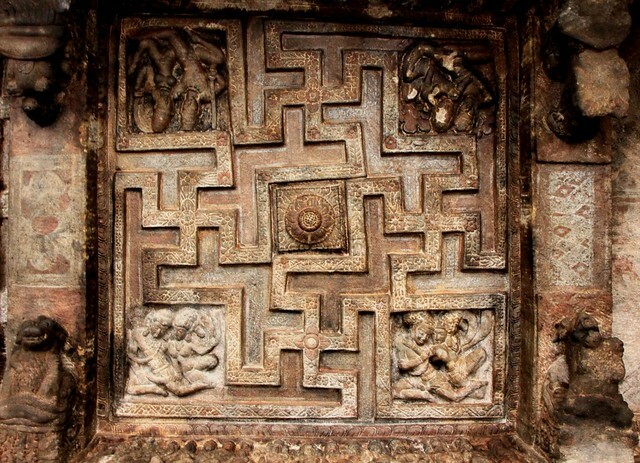 All the caves have a similar plan with an entrance verandah (Mukha Mandapa), leading to a columned hall (Maha Mandapa) and then to a small shrine (Sanctum Sanctorum, Garbhaghrha). 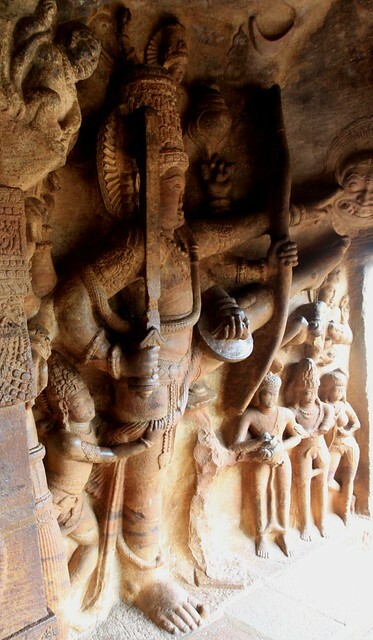 The architecture is a beautiful blend of Nagara (North Indian) and Dravidian (South Indian) styles. 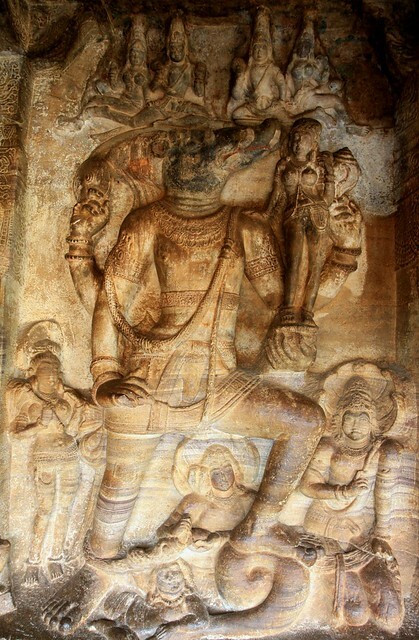 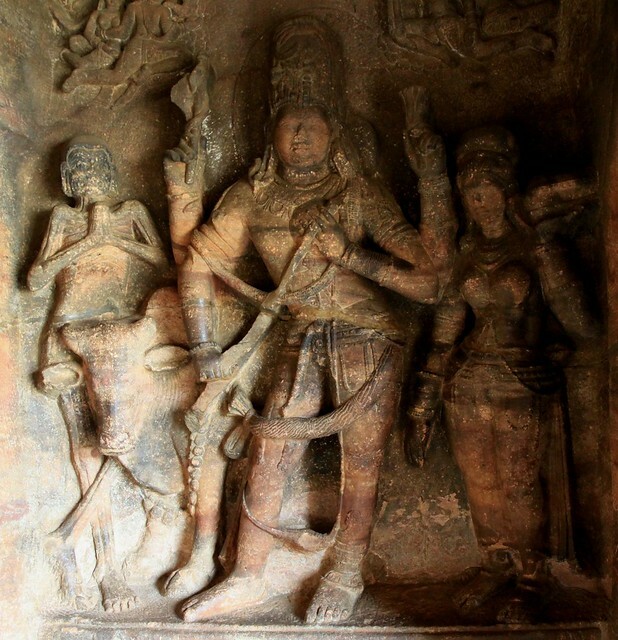 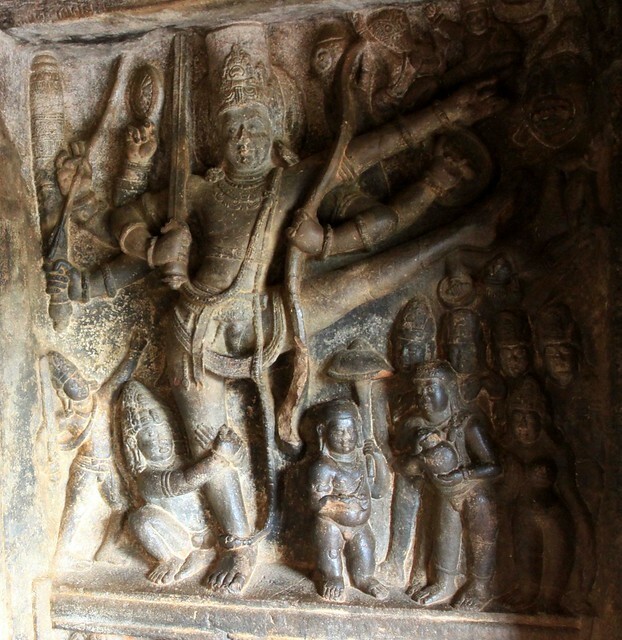 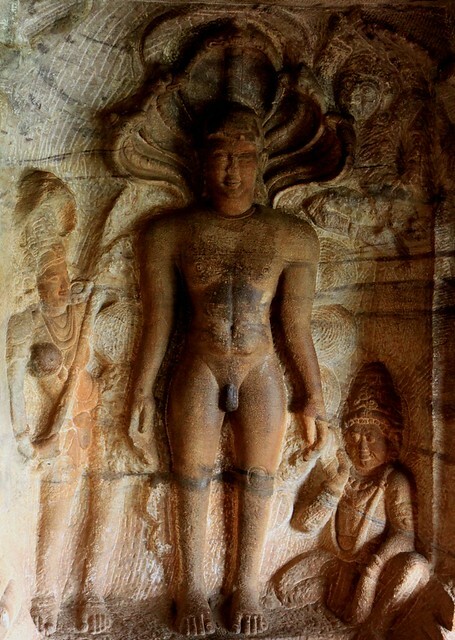 This Cave Temple, dedicated to Lord Shiva, was the first one to be carved in this complex. 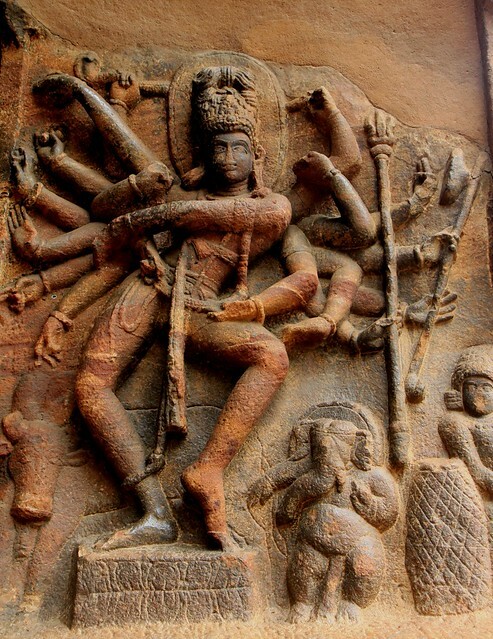 18 armed dancing Nataraja striking a total of 81 Bhartanatayam dance poses. 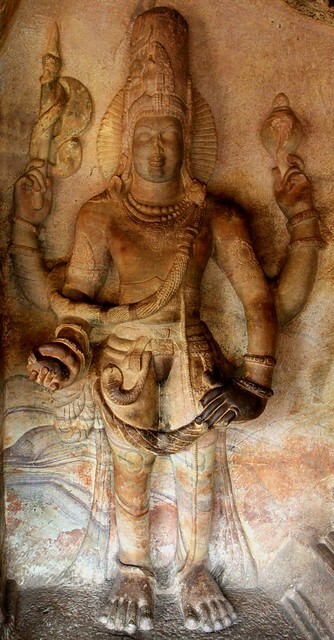 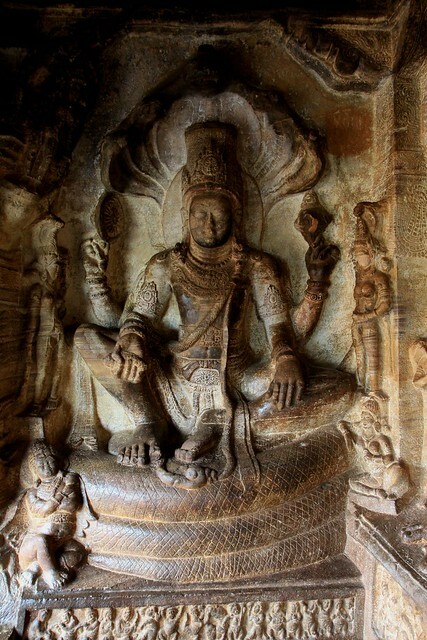 This cave temple is dedicated to Lord Vishnu. 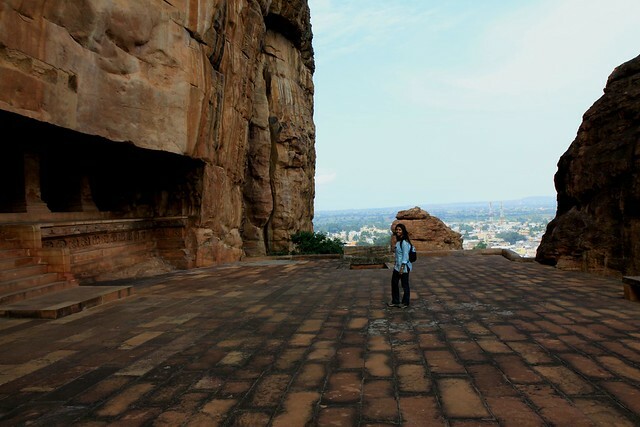 The temple, dedicated to Lord Shiva, dates all the way back to 578 AD and is the largest cave in this complex. 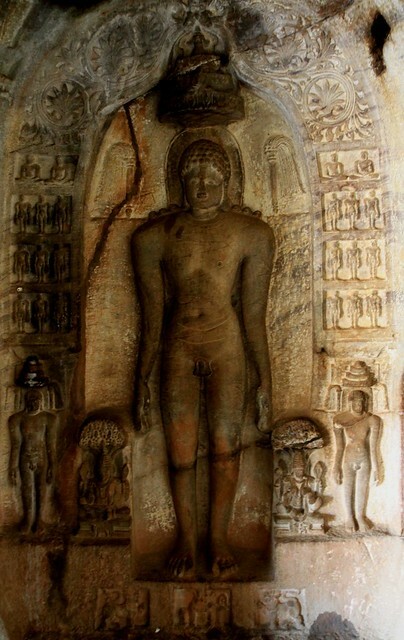 This is the only Jain cave within the complex. 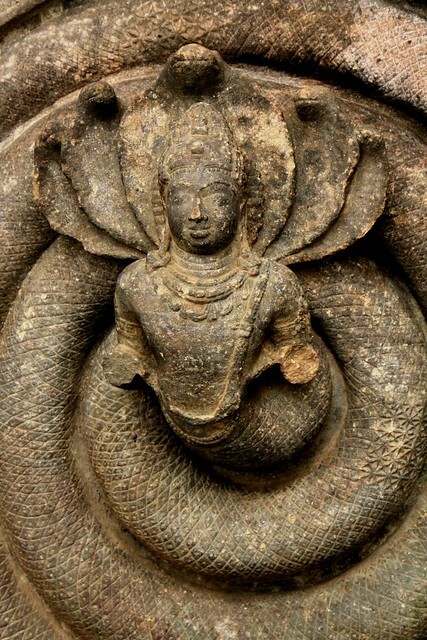 Parshva was a prince from Varanasi, who renounced the world and became an ascetic at the age of 30.